Additional tunnel for the Large Electronic SmartDoor Wall Conversion Kit. 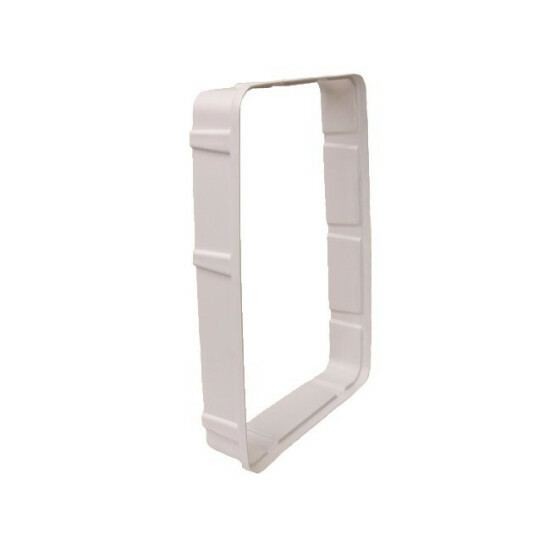 Install your Large Electronic SmartDoor in a wall more than 7¼ thick with this additional tunnel extension. Each extension adds 2¾ inches. This tunnel must be used with the Wall Conversion Kit (not included). The Wall Conversion Kit lets you install your door in walls up to 7¼, and this additional tunnel lets you install your door in even thicker walls. Not compatible with the Small Electronic SmartDoor.